This bioregional assessment helps us understand how coal seam gas and coal mining development could affect water resources and water-dependent assets in the Arckaringa subregion. This assessment was done in collaboration with the South Australian Government. The bioregional assessment found that there is very low potential for coal resource development in the Arckaringa subregion. Exploration for coal and coal seam gas is at an early stage. Although coal resources are present, it is unlikely that there will be development that would affect water resources or water-dependent assets in the foreseeable future. The research shows a potential connection between the Arckaringa Basin and the overlying Great Artesian Basin. 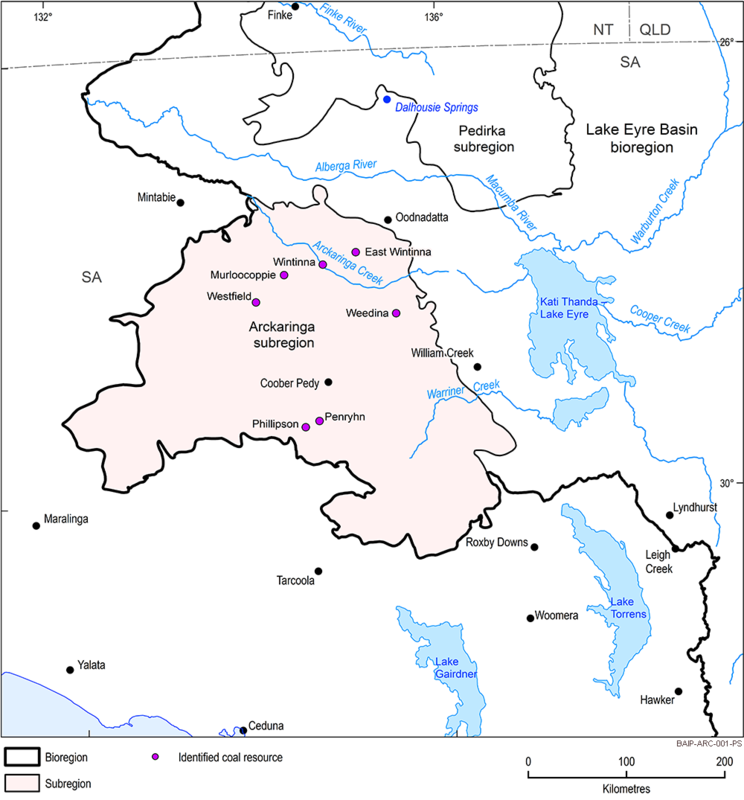 The Arckaringa subregion is part of the Lake Eyre Basin bioregion in South Australia. Coober Pedy is the largest town. 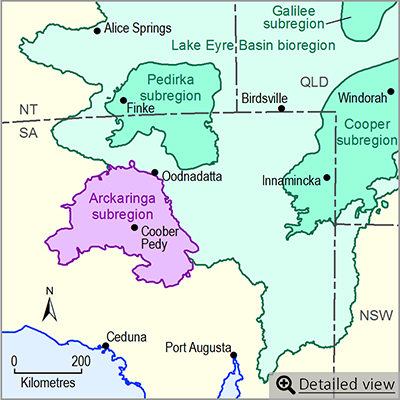 The Arckaringa subregion contains springs that are part of the nationally important Great Artesian Basin supergroup of springs. Most of the water supply in the subregion comes from groundwater, as surface water supplies are scarce and unreliable. Most groundwater is pumped from the Great Artesian Basin with a smaller amount taken from the underlying Arckaringa Basin.